As I powered through a demo of best practices for shifting from ‘the dark side’ (aka media’s latest raunch-for-ratings) toward wielding a light saber for good, I thought about how many incredible projects like the Dream Village children’s books featuring PlayPumps International (integrating books/web/philanthropy and kids empowerment) and vast social enterprises have taken hold in such a short amount of time. 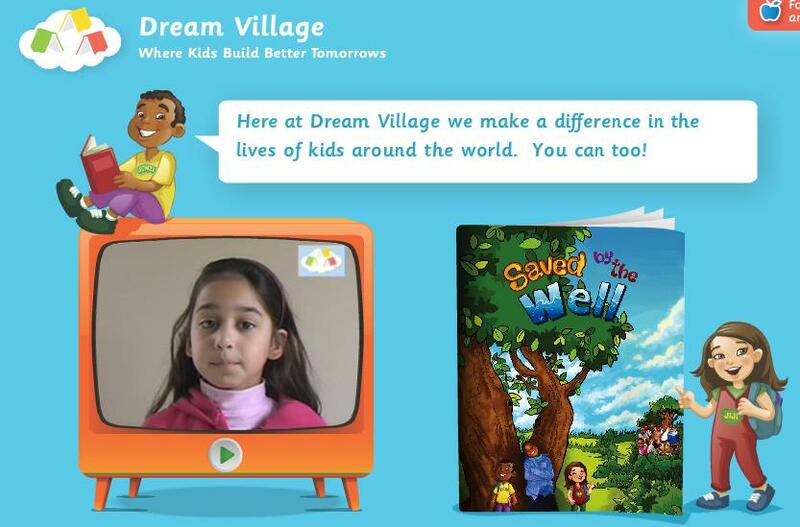 How can we shift financial streams into funding meaningful messages like Dream Village? Raise revenue, mindshare, and our collective IQ? Get beyond point and click digital actions into collaboration and innovation that springboards into sustainable, interconnected dependency for common goals? We need more, not less meaningful media. People need to be empowered from it, not squelched or overwhelmed by it. We can’t come up with sustainable solutions if only a small percentage even understand there’s a problem. And finally, every step we take toward action builds forward momentum, as this newly launched site “FourYearsGo.org” has put forth in a collaborative effort to sound the blast at the starting line for a positive race toward sustainable change. “Four years is enough time to build a collective will to act, change our direction, even to transform ourselves; GO is because we must start now,” voiced some of our thought leaders at the NextNow Collaboratory. So here’s my collaborative attempt to push forward powerful ideas of innovation and seed philanthropy and participatory solutions at very, very young ages and stages…thus, the picture books. A Dream Village…where visions become reality, and stories make a difference, not just in the telling of the truth, but in the actions of the reader. Here’s Part Two with social enterprise entrepreneur and startup founder of Dream-Village.org, Suneet Bhaat. Amy Jussel, Shaping Youth: What was your ‘moment of obligation’ (to coin the term from Echoing Green’s Be Bold contest) that prompted you to become an agent of change and apply for the IdeaBlob contest that landed you in Demo ’09? Suneet Bhatt, Dream Village: I’ve always wanted to make a difference. My parents had me formally volunteering at a hospital when I was in 8th grade. My friends roped me into interning for a local Congressman in high school. I’ve been surrounded by people who’ve always believed in making a difference…Hard not to pick something like that up. Ideablob happened on a whim. I was scouring the Web looking for business plan competitions and it was perfect. It turned into more than we ever could have wished for: we won $10k, validated our business plan, were invited to speak at some amazing events (including DEMO 2009), and got some wind at our backs. Amy Jussel, Shaping Youth: Did the $10K exhaust itself quickly? What did it enable you to do to further your vision, specifically (e.g. site creation, team bldg, etc.) Are you applying for more funding to take it to the next step? Where/how? With whom? Suneet Bhatt, Dream Village: We learned a lot with that $10k, it got us to where we are today. Xavier Thomas, our creative and technology lead, turned straw to gold. I think we produced a tremendous amount with that $10k—and we learned a lot too. I’m now self-funding Dream Village. I have money from investors that I haven’t cashed yet—I want to use that money to get to scale; not for a proof of concept. I think we’re close, but I want to generate traction so the investment is made based on the merit and potential of the opportunity—not based solely on someone’s belief in me and my team. Amy Jussel, Shaping Youth: What lessons have you learned with this startup that you can impart as ‘best practices’ (do’s and don’ts) for other entrepreneurs and change agents? Did you attend any incubators or leadership programs you found worthwhile prior to Demo ’09 and such? Suneet Bhatt, Dream Village: I’d say: enter business plan competitions to get formal feedback on your pitch and on your story. Talk to your customers early and often—and be open and receptive to their feedback. Either literal (what they tell you) or what’s unspoken (observe them and infer/interpret). Find people who believe in the idea to keep you going. We started out as a close group of friends and brought in people who believed in the mission. Early on, I made the mistake of trying to partner with people who weren’t sold on the mission. When times got tough, they bailed. Take time to bring in the right people, and sacrifice a lack of resources if it means avoiding the wrong resource. I firmly believe that. Understand your own limitations. I have a hard time taking money from family and friends. No matter how much they believe in me or the idea—I have not been able to do that. So who is your first, second and third tier target market? Is it meant to be a pilot program to gain awareness and reading literacy starting with the US/UK and developed nations and segue into developing nations or vice-versa? If it’s the latter, will you be translating into different languages? Suneet Bhatt, Dream Village: We’re starting with the U.S. first. Developed world next, and foreign languages if possible. Amy Jussel, Shaping Youth: Are there any insightful youth voices (18 & under) (ASIDE from your Dream Village collaborators!) that we should know about? Amy Jussel, Shaping Youth: Inspiring…I’ll add a few too: TedxTeen, Kids Are Heroes, 14 y.o. Dylan Mahalingam at LilMDGs (who has been interviewed with both those orgs) Teens Turning Green, Advocates4Youth in the health2.0 sphere, and the new 4GGL.org for GirlsGoLocal run by my fellow alumni/colleague Jin In at Women Leaders for the World! Now tell me about the design and production itself…It’s got a thick, glossy style paper: is it designed to be durable, eco-friendly, etc? Suneet Bhatt, Dream Village: It’s not eco-friendly directly since we don’t have the financing to take that approach. Instead, we’ll do it off the back-end, most likely by partnering with an organization like Eco-Libris (tremendous organization we connected with at Book Expo America). Amy Jussel, Shaping Youth: What entrepreneur and/or public figure do you identify with the most? Amy Jussel, Shaping Youth: When did you officially ‘launch’ (the site, the book/interplay, and how has the economy impacted your marketing of this concept? Suneet Bhatt, Dream Village: It’s out there! Amy Jussel, Shaping Youth: What are your aspirations as an entrepreneur? What topics and stories will follow Saved By the Well and PlayPumps Int’l or the pillow fight story? Suneet Bhatt, Dream Village: World’s Greatest Pillowfight, which is based in the US…is all about helping children bring their difference making ideas to life. After we shared Saved by the Well with readers, we were challenged—kids learned, voted for the cause, and then they wanted to “do” something. So we created a book that would tell them how to take an idea they had and actually bring it to life. We even give them a roadmap and a checklist to get started. We have four more stories in the pipeline but I’d like to keep those to myself. Truth be told, the pipeline is infinite. I could write one book everyday for a year and not have scratched the surface—and that’s hardly an exaggeration. Amy Jussel, Shaping Youth: Thanks so much for your time and insights, Suneet! This is such an exciting, limitless venture, and I KNOW kids and parents will be onboard in a huge way. We want to affiliate in any form possible to pay it forward, just as we’re planning with the Reach and Teach team, and Project Happiness and such. I think it’s helpful to share great tips and data nuggets to nosh on, while getting to know the personal picks of some of these inspiring minds. So with that, here’s a snapshot of Suneet Bhaat! Amy Jussel, Shaping Youth Suneet, who’s on your ‘wanna meet’ ‘bucket list’ of life? Romeo Dallaire – “Shake Hands with the Devil” is one of the most powerful, tortured books I have ever read. Meg Whitman – I love her approach to the election in CA. She’s the anti-Palin, and frankly, the anti-Fiorina. Salma Hayek – Do I really need to explain this one? Maxine Clark – Have you ever been to “Build-a-Bear”? Amazing! Amy, thanks for writing about Dream Village. Very wonderful. I like their approach and the binding together of learning and action is key. The challenge of the use of media in this way moving forward is making this a two way relationship. That is, where learning (and reflection) spurs action but then, action also causes new reflection and understanding that spurs future action, and so on. I think interactive environments (and not just digital ones) offer unique opportunities to help achieve this goal.